York Minster’s Five Sisters Window is the only memorial in the country dedicated to all women of the British Empire who lost their lives during the First World War. The window, which dates from the mid-1200s, was restored and rededicated between 1923 and 1925 after it was removed during the First World War to protect it during Zeppelin raids. On the evening of her vision, she describes entering the Quire at York Minster to attend Evensong when she saw two young children in white in the centre of the North Transept, beckoning to her and pointing towards the window. “I moved towards them and then recognised my two little sisters, both of whom had died as children,” she explained. “As I followed the little pointing finger I saw the window move slowly backwards as if on hinges, revealing the most exquisite garden with wondrous flowers I had never seen before.” The garden was filled with women and as they approached the window slowly swung closed, waking Mrs Little from her dream and causing her to cry out “The Sisters’ Window for the Sisters”. Within weeks of its launch, the appeal had attracted 32,000 subscribers and raised more than the £3,500 needed for its restoration. 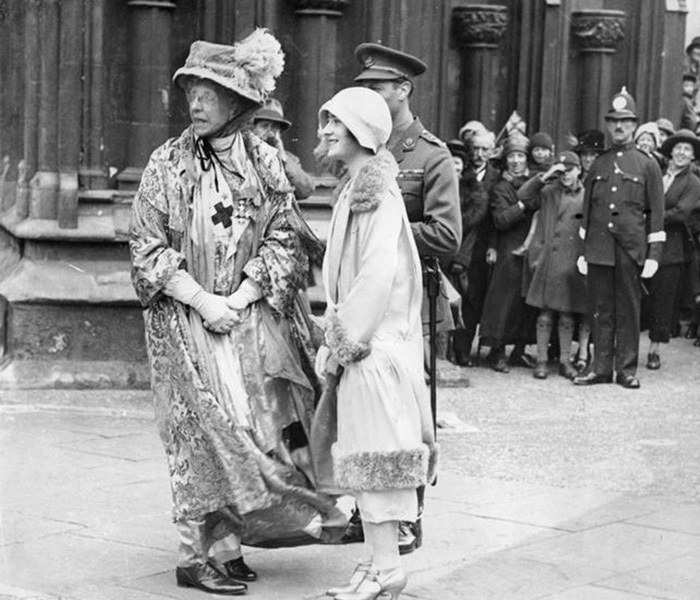 The restored window was unveiled on 24 June 1925 by the Duchess of York in the presence of 800 relatives of the women it commemorates. 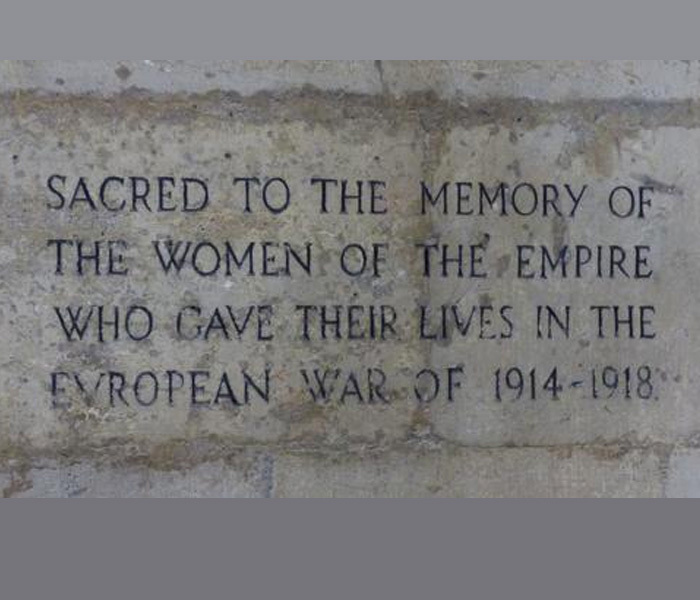 The names of the 1,513 women commemorated are inscribed on oak screens on the north side of St Nicholas’s Chapel. This memorial includes Edith Cavell, the British nurse shot by a German firing squad in 1915 for helping 200 Allied soldiers to escape from German-occupied Belgium. The 13th century window is filled with grisaille glass (from the French for greyness) – finely painted clear glass set into geometric designs with jewel-like points of coloured glass making the pattern. It was re-dedicated after the Second World War to include female victims of that conflict too, but the names were not added to the screens. A service of thanksgiving and commemoration to mark the centenary of the signing of the Armistice on 11 November 1918 will take place at York Minster on Sunday 11 November at 9.30am.